Florida’s hot and humid climate encourages unwanted plant diseases, insects, and pests. If you install your shade-tolerant sod grass over the summer, you are more likely to experience problems like fungal diseases, brown patches, cutworms and chinch bugs. 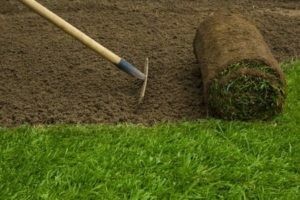 Sod installation is ideal during the autumn and early winter because the majority of those bugs and illnesses pose less of a threat to new grass. Florida’s autumn rain is exactly what your new sod needs to really thrive. Rather than risking installing your sod during a summer heatwave, wait until the safer and easier cool weather. This provides the added perk of keeping your water bill low during the first few months that your sod requires extra water to grow and plant its roots. Fall is the time of year that sod farms like Council Grower’s Sod in Tampa, Florida begin to harvest popular shade-tolerant grasses like St. Augustine. Many homeowners prefer St. Augustine sod because it thrives in nearly all well-draining soil types, tolerates extreme summer heat, and keeps its color even at lower temperatures. This sod is known for its lovely blue-green hue that perfectly complements a coastal home. By installing it in the fall, it is less vulnerable to diseases that could compromise the sod’s integrity. It’s important to purchase sod grown with the highest level of professionalism and grower knowledge. Council Grower’s Sod in Tampa, Florida grows, delivers, and installs sod that is always cut the day of or the afternoon before it is installed. Call (813) 633-8665 to order your sod from your local sod farm today.